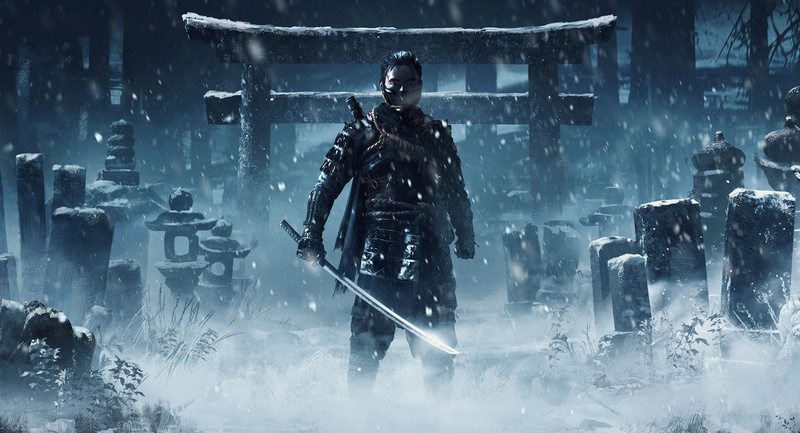 Sucker Punch is looking for a narrative writer to help flesh out Ghost of Tsushima’s open world, and it’s got some fans in a frenzy. The Seattle-based studio is after a scribe who can write “high quality dialogue under tight deadlines for a diverse cast of characters who live in the world of 13th century Japan”. Apparently this means that the title is still a long way away. Some publications are pushing the idea that the inFAMOUS developer is only just getting started on the story, even though it hired a couple of lead writers a few years ago. Our guess is that it’s simply bolstering its team as it attempts to flesh out the sandbox – there’s nothing worse than a beautiful open world with nothing in it, after all. The job listing itself reinforces this idea, stating that candidates will contribute to “other creative areas of the narrative including secondary game content, dialogue barks, and writing content for marketing materials”. Of course it could all mean that the project is still several years away, but that’s not exactly realistic, is it? "Go to X location and kill 20 fire wraiths, rawww!" @kyleforrester87 You should apply, Kyle. I'll give you a reference. Could this be planned DLC they are writing for? @3Above Yes, absolutely. Which is why it's ridiculous some other sites are just jumping to conclusions about it. Everyone needs to calm down. Let Sucker Punch take as much time as they need with this. this is truly surprising indeed. i very much expected this game to either release by the end of this year or early next year — surely before the ps5 launches. i am starting to wonder if this will be a ps5 launch window game now... that seems more unlikely but still... we will have to wait for day's gone to release before sony brings us an update... by june i expect them to do just that. I have heard they are also hiring for a new barista in the coffee shop which is proof they are crunching right now and it will be released in the next 3 months. @Porco I'm sure it'll be on both. Nothing like a good job listing rumour to fuel ridiculous speculation. The internet will never stop jumping to conclusions on stuff like this. Don't panic!! Don't panic Captain Mainwaring!!! It shows just how many people who work on gaming sites don't have a clue how making games work. The job listing actually says "tight deadlines" why do you think that is? Maybe because the game is shipping next year and they want someone who can hit the ground running. 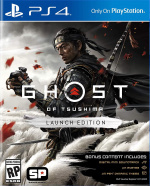 Also has others have suggested it could be NPC dialogue or DLC which is far more likely then the more clickbaity "Ghost of Tsushima is years away story". @kyleforrester87 You forgot the obligatory "I would go myself, but [insert pathetic and / or lazy reason for why NPC's feet are planted firmly in the ground here] so do hurry back". Otherwise, spot-on. Enjoy your new job! Of all the main ps4 games left this always looked the furthest away. I expected DS, TLoU2 and Dreams before this when it was announced and still do. People are reading too much between the lines on this. Yeah my initial thought is that it's just NPC dialogue to flesh out the open world. Not that it's a sign the game is way behind schedule. Could also be for some planned story DLC. We still haven't seen hardly any of this yet anyway. No need for panic, but this game is a couple years away imo. This game is another example of a game revealed too soon. @RogerRoger I've applied, but I've told them they'll have to come and get my CV themselves, as I'm busy forging a new sword in my smithy. Just make NPC characters that walk back and forth on repeat or stand still staring at the same thing the entire time, all while repeat the same lines of dialog whenever you talk to them - mostly that they know nothing. Too me the biggest concern isn't the release date, b/c it's never had one, but why are they just putting this ad out now when they've been working on the game for 3 years? Did they finish the game and realize there isn't anything there, or did they write it all and realized it sucked so they are scrapping a bunch of stuff? The best ase scenario would be DLC, but since there isn't even a release date yet I don't see why the DLC would be on a tight deadline. So you guys can mock the hysteria all you want, but I can't think of any situation where you can view this as a good sign for the overall game. It will likely make it a better game, so I suppose there's that, but it does seem very late in the process. Maybe working on dlc? They did a similar good job for first light. All that hype at the last few big game shows when they are still making the game like it's nearly finished. Just take your time and do it well this year so far feels like year of the samurai. It might be near finished for all we know and holding off for ps5 for a big launch title. I am looking forward to this game as i love japanese history and culture. @rjejr Or maybe someone is leaving in that position so their looking for a replacement. Didn't you guys hear? The game was cancelled. TheBlindProfit went into all the details in the video he posted on the first of April. Dan Houser said that he had to work hundred hour weeks several times during 2018 to finish the writing on red dead redemption two. Which year did that come out again? Yeah, that would be a legitimate cause for panic. It's not like anyone in PS4 userbase has a backlog, a gargantuan library of games, two PS+ titles monthly, possibly other gaming platforms (with their own cases of all the aforesaid) and other hobbies... People's entire pastime and meaning of life is at stake here, so the lazy devs better get their crap together. If it's mentioning barks and stuff like that, then it's highly likely to be secondary dialogue. Other writers often get pulled in later on in the process for secondary dialogue. Welp, I guess I’ll have to play just 2 samurai games this year instead of 3. Bummer. I don't think a for-profit private entity is going to allow any employee, let alone hundreds of them, to sit on their idle arses for almost the entire console generation before starting a new project. Some time will be needed for sure, but to say this is only in the early stages is nigh on impossible based on the reasons I mentioned. Obviously it's a dumpster fire and they're rebooting. Just seems to me there are loads of people out there with knives out just praying for a PlayStation exclusive to fail. They haven’t really been able to get stuck in since The Order 1886, and that was four years ago. @kyleforrester87 What are you so salty about? In a dark lit room in Sucker Punch HQ a demon stalks the halls demanding game updates. "B-b-but sir," a timid overworked slave mumbles. "You told us that story and dialogue don't matter...."
@AdamNovice "Or maybe someone is leaving in that position so their looking for a replacement." Well thats' less bad, but it's still bad that a person who has been working on the game for 3 years has now left and they are scrambling to find a replacement this late. Not as bad as my other possibilities, but not something I'd label as "good news" either. It could be that someone was fired and they need someone new.